Community member Betty Jane Clark-Carter saw a need in Gaston, the town she called home. The rural community changed over the years that she lived there, and she had an idea to help make things a little bit better for her neighbors. Jamie, who served on the Gaston Fire Department for many years, had worked with The Community Foundation to secure grants for supplies and upgraded equipment for the fire department. He explained to Betty that a fund at the Foundation would have a lasting impact on the community and that funds can be designated based on the donor’s charitable wishes. In 2012, Betty approached The Community Foundation to anonymously establish a fund that would directly benefit the town of Gaston. Betty hoped that the fund would set an example for others to give back as they are able. 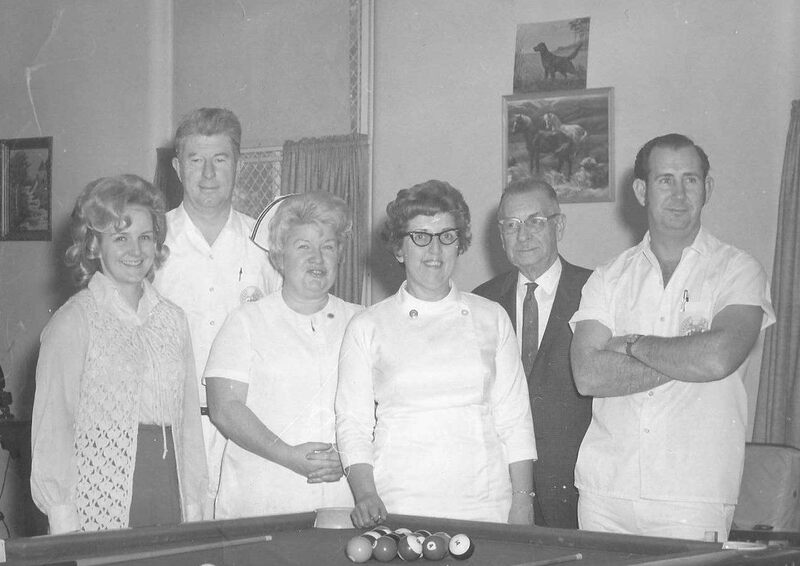 Betty (middle) stands with friends and coworkers at the VA Hospital in Marion where she spent her career as a nurse. Helping others came naturally to Betty, who worked as a nurse at the VA Hospital in Marion during her career. She had a passion for health, and in her free time she could be found in her garden growing a wide variety of fresh vegetables and fruits to share with her neighbors. Matt Gaither grew up next door to Betty and knew her his whole life. Even as an adult, they remained close. He would visit Betty often to help her around her house with mowing or repairs. Sometimes the visit would include time where the two would sit and chat. A true friendship emerged. Betty talked with Matt about her desire to give back to benefit others. Betty asked that the Foundation keep her status as the founding donor a secret during her lifetime. Betty passed away just a week before the town endowment grants were announced in 2018. Even though her identity as the donor was unknown, she set an example for others in Gaston. As community members began to see the impact of the grantmaking in the community, the idea of this fund for Gaston caught on. In 2016, the fund had six new donors. Today, more than 16 individuals have supported the Gaston Town Endowment Fund with gifts. 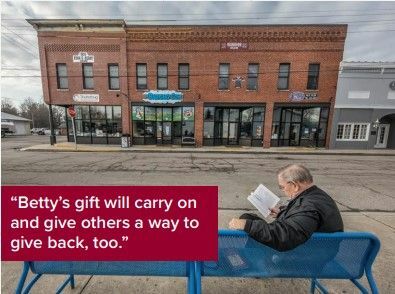 In 2018, donors even helped the fund capture $5,000 in matching funds to support grantmaking in the community. Gaston community members not only have a role in growing the fund, but they also determine the beneficiaries of grants made from the fund. A committee of five individuals who live or work in Gaston, or in Harrison or Washington Townships review grant applications each May. Grants are awarded in June to deserving nonprofit organizations. Since the first grant was awarded in 2013, 10 programs at Gastonserving organizations have been supported by more than $13,500. Grants have benefited Wes-Del Community Schools, Gaston Lions Club, the Youth Athletic Association, and Cardinal Greenways. Grants have supported health initiatives, purchased equipment for students, assisted with kindergarten readiness, and made improvements at facilities throughout Gaston. With commitment from community members, the fund continues to see growth and will continue to grant funds to benefit Gaston today, tomorrow, and always. The Community Foundation grants to nonprofit organizations and educators throughout Delaware County through a variety of grant programs.